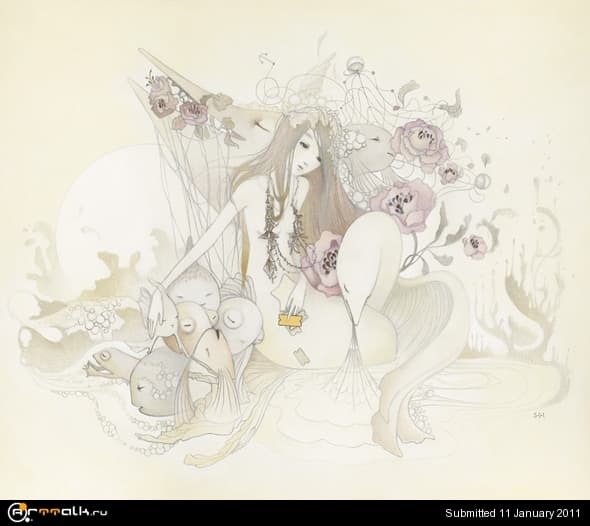 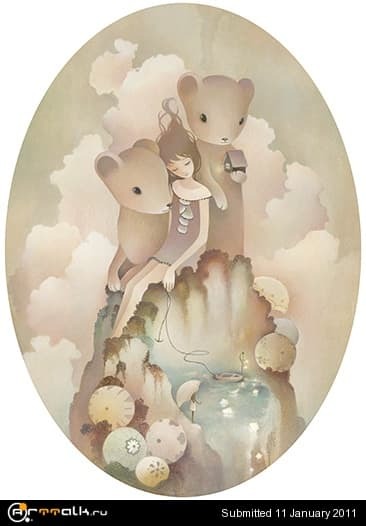 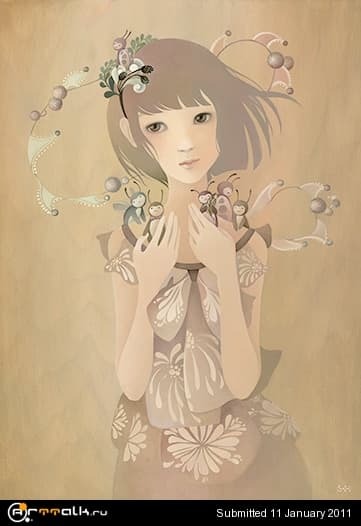 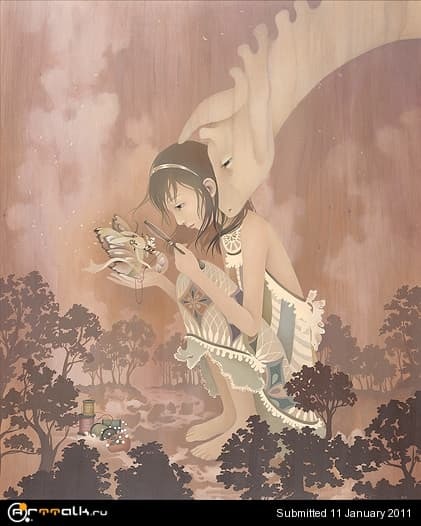 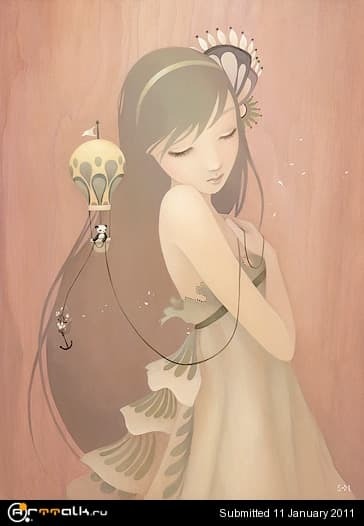 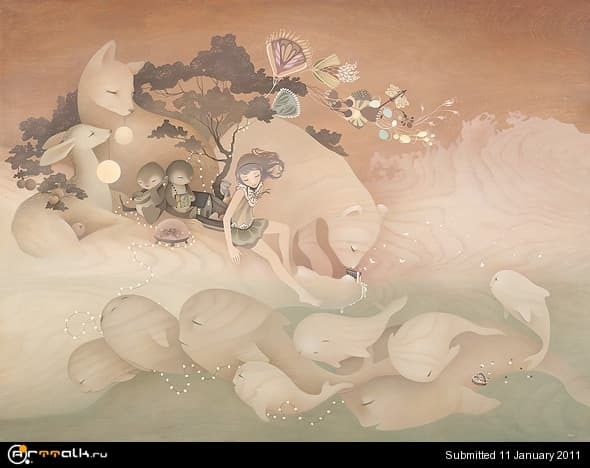 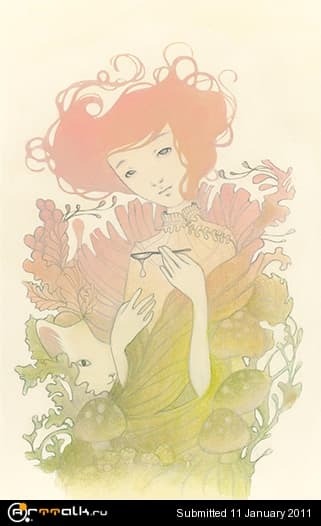 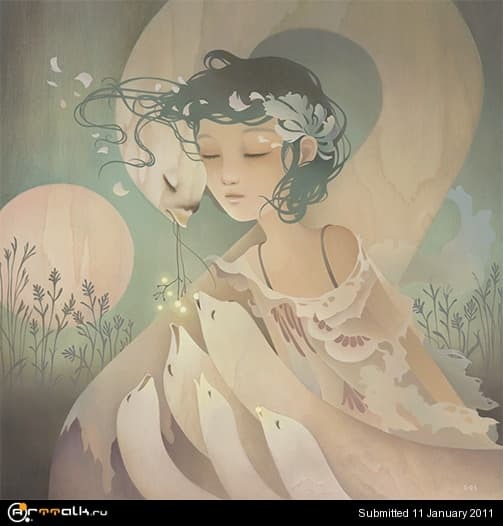 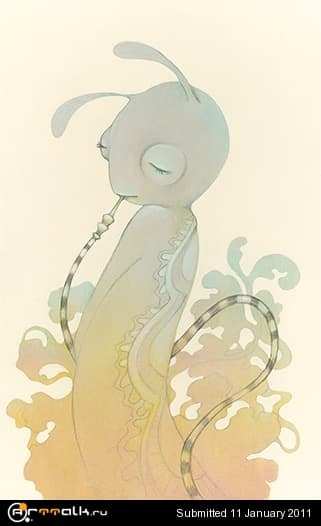 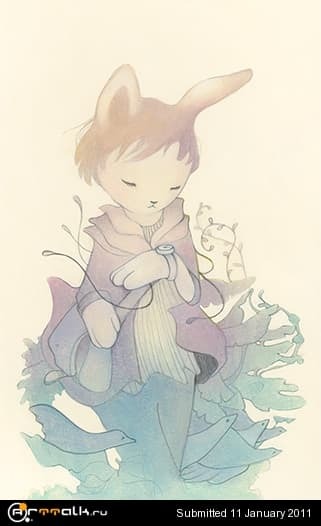 Amy Sol spent her childhood years in Korea then moved to Las Vegas, NV where she currently lives and works. 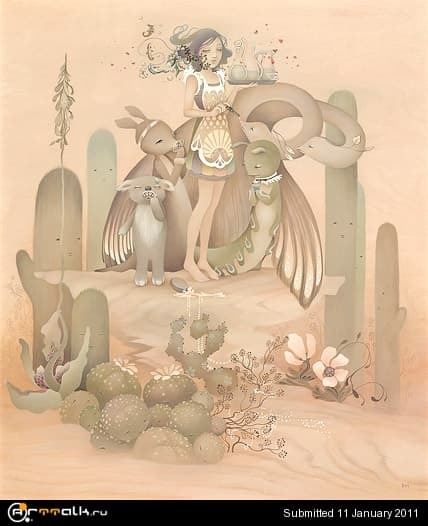 Though the style of her work is greatly influenced by a combination of manga, folk-art, vintage illustration and modern design, she remains a self taught artist. 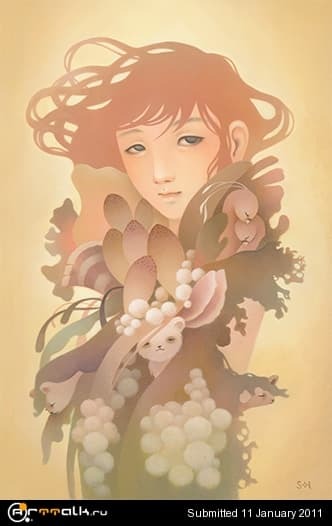 She has dedicated many years of her life mixing pigments and mediums to achieve a unique color palette of subtly muted tones. 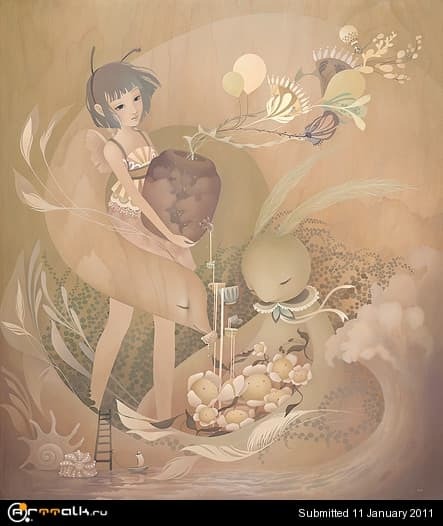 The artist works intuitively from the beginning to end of each piece, with the intent that each painting's theme or message can be interpreted subjectively. 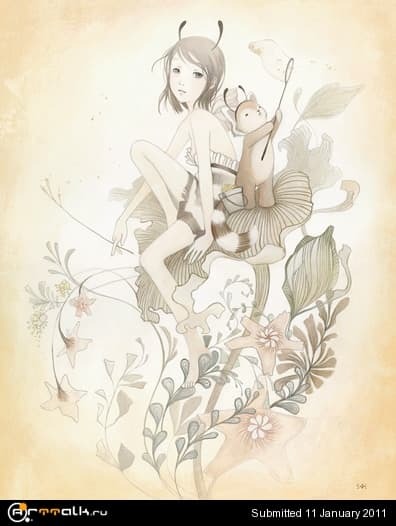 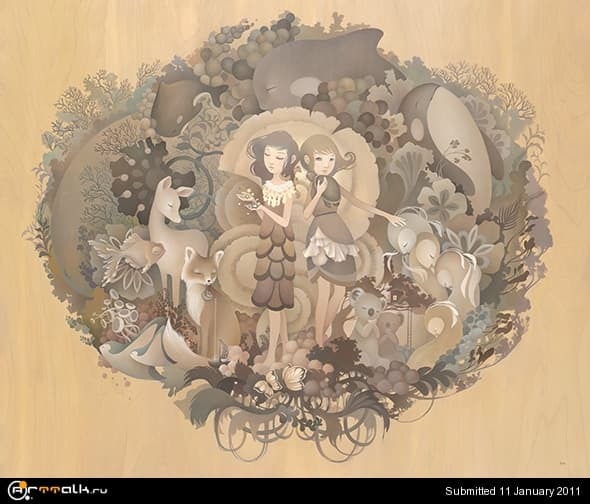 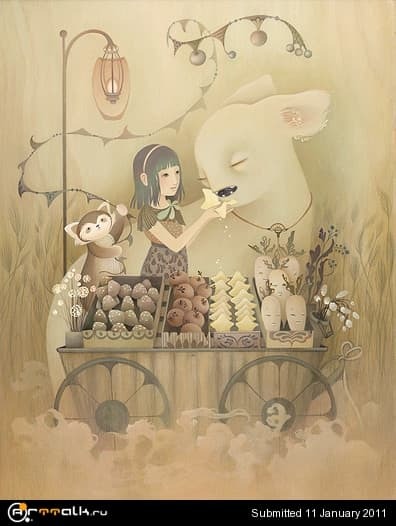 Within these delicate works, you may often find whimsical landscapes populated with exotic plants, animal and females... Amongst the expressions of each character are notions of peaceful reflection and a sense of companionship.